Ennis Hall is a former residence hall, constructed in 1918 on the campus of Georgia College & State University (GCSU). This brick structure is one of a series of classical revival buildings in the Milledgeville historic district, which defines and characterizes this central Georgia campus. A significant part of the rehabilitation is the repair and restoration of the building’s exterior envelope. Our process began with a search of the university’s archive to locate historic photographs that revealed several changes that had occurred to the building, most notably the removal of wood balustrades above the front porches. Historic elements that were maintained during the construction rehabilitation include: exterior columns, windows, exterior wood work, interior finish carpentry, masonry, stonework, and replicated historic balustrades. 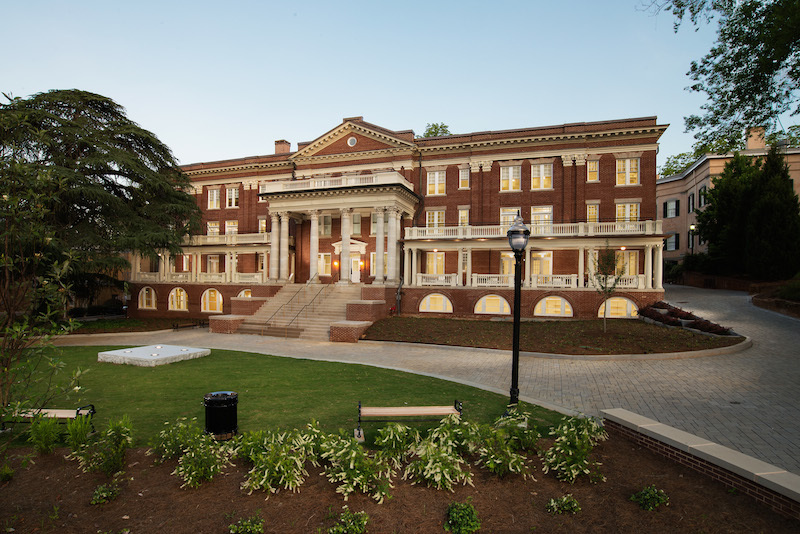 In addition, Ennis Hall will receive certification for its sustainable practices in design and construction. Garbutt Construction Company is fortunate to be a part of the team who completed this amazing project.